The Dachstein West ski region will inspire you. 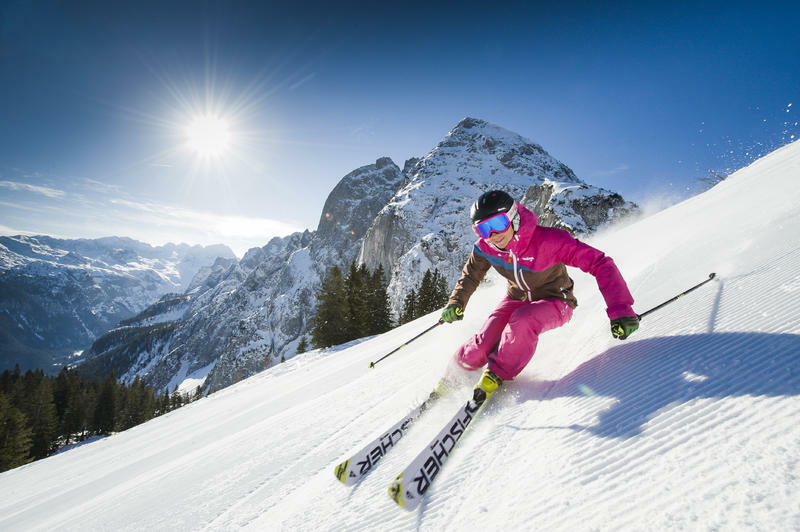 Any amount of fun pistes, delicious treats served by the most hospitable hosts in the Alps, a mountain panorama to lose yourself in and with 119 kilometres of perfectly prepared splendid white pistes, the Dachstein West ticket area provides more than enough room for you to let off steam! Want MUCH MORE than dreary ‘motorway’-style ski pistes? Want to experience variety on exciting pistes and to enjoy life in authentic, traditional ski lodges? 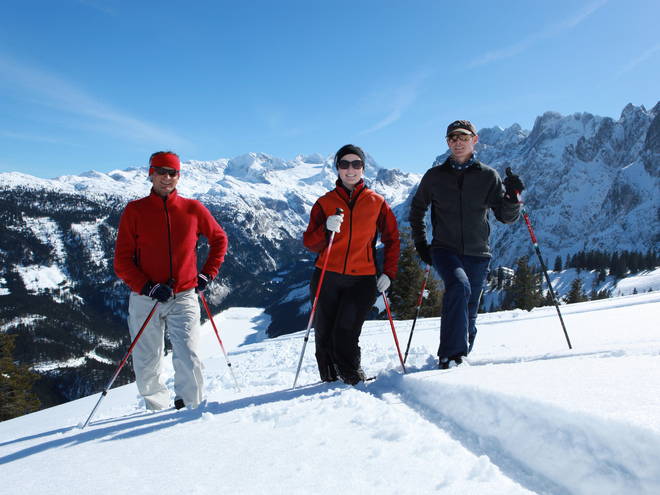 Then head for the fun pistes in the Dachstein West ski region! On the unique fun pistes in the Dachstein West ski region skiing will definitely be exciting! However, please note, it is not just the ‘highly gifted’ ski technicians who get to ski on the ‘Wilde Hilde’, the ‘Rock’n Roll’ and the ‘Donnergroll’; there are also great challenges in store for beginners! There is the Marcel Hirscher slalom route, which has a time measurement facility, speed measurement route so you can get up speed, Snowcross facilities with a start machine, demanding mogul pistes, soft wave slopes and much more - which get ski fans rejoicing! Don’t be shy, this is Dachstein West! Open from 2. December 2017 at good snow conditions. Ski passes for more days can be purchased in advance from 3:00 p.m. the day prior to the day of validity. Pistes closed from 5:00 p.m. to 8:30 a.m.
GROUP OFFERS: We have devised some special offers for coach, tour and school parties (from 20 people). To enquire, call +43 50 140 or info@dachstein.at! There are free shuttle buses from Bad Ischl, Bad Goisern, Hallstatt, Obertraun Golling Abtenau, St. Martin and Lungötz to Gosau, Russbach and Annaberg. 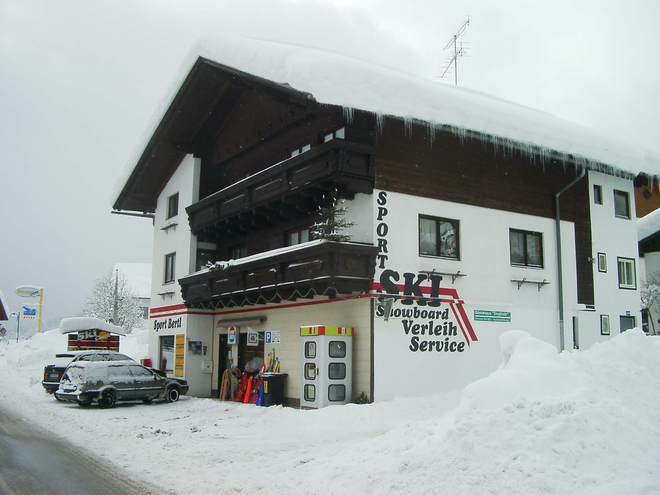 In addition, free ski buses to Gosau, Russbach and Annaberg.